What Are the pros and cons of laparoscopic cholecystectomy, and the risks involved? The gallbladder is a small organ located under the liver that stores and concentrates the digestive juice known as bile produced by the liver. During the digestion process, this juice is released by the gallbladder into the small intestine to aid in the digestion of food. The gallbladder is not, however, essential to digestion and individuals with gallbladder disease for whom other treatment options have proven to be insufficient will be advised to undergo gallbladder removal surgery, medically called a cholecystectomy. Cholecystectomy is often advised to relieve the symptoms of gallstones. Stones in the gallbladder can block the tubes that transfer bile to the small intestines. This can result in severe pain in many cases depending upon the extent of the blockage. Additionally, inflammation of the cells and tissues and infection may ensue. The removal of the gallbladder stones is often accomplished with conservative approaches that involve the use of medications and changes in diet. This may offer relief to a certain extent. However, the symptoms may not be relieved in many cases ultimately requiring the removal of the gallbladder. Further, the condition usually recurs frequently. The repeated formation of stones, infections, inflammations or obstruction in the gallbladder may ultimately require the removal of this organ if the conservative measures are unable to treat the condition. Cholecystectomy may be performed using two methods: open cholecystectomy or laparoscopic cholecystectomy. An open cholecystectomy involves the removal of the gallbladder by placing a single large incision over the abdomen. The procedure is performed under general anesthesia and requires the individual to stay in hospital for an average of three to five days after the surgical procedure. Laparoscopic cholecystectomy is considered a minimal surgical technique which involves the placement of a few small incisions on the abdomen instead of a single large incision. Laparoscopic cholecystectomy involves the use of an instrument known as laparoscope that has a light source and a camera attached to it. Other smaller instruments are used along with the laparoscope to perform the cholecystectomy. Laparoscopic cholecystectomy is the most commonly followed procedure to remove the gallbladder and is considered to be a minimal surgical technique. In contrast to open surgery, which involves the placement of a single large incision over the abdomen, the laparoscopic procedure involves the placement of two to three smaller incisions. This shortens the recovery time and also minimizes the amount of scar left behind after the procedure. The laparoscope and the other small instruments used in the removal of the gallbladder are introduced into the body through the small multiple incisions placed on the abdomen. This procedure is performed under general anesthesia. The gall bladder is observed through the laparoscope and the instruments are used to incise and separate the gallbladder from its location. 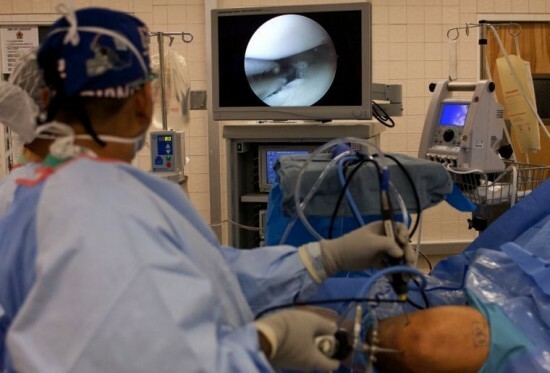 The laparoscope has a small light and a camera which transfers the images to a television and the operating surgeon can view a magnified image of the area being operated. Additional imaging procedures may be carried out to locate the additional blockages or presence of stones in the gall bladder tubes and clear them. Following the removal of the gallbladder the incisions are sutured or closed with surgical tapes. The operated individual is generally advised to stay in the hospital for a day to rule out the presence of any associated complications. What Are The Post Surgery Instructions? The individual undergoing laparoscopic cholecystectomy may need to stay in the hospital for about a day after the surgery, or may be sent home on the same day. They may be required to take medications to relieve any pain or other symptoms associated with the surgery. The recovery is usually faster and is generally not associated with any complications. Resuming normal activities may vary with each individual and the doctors’ instructions must be followed, but most people can expect to resume their normal lives within two weeks. The individual who has undergone the laparoscopic cholecystectomy may be asked to visit the hospital at regular intervals to monitor the progress. Additional imaging studies may also be advised to evaluate the outcome of the surgical procedure. Medications may be advised as needed. People with gallbladder disease are routinely advised to avoid fatty foods, while after the initial recovery period, there are no special dietary instructions for patients who have already had their gallbladder removed. Studies show, however, that many individuals who have undergone a cholecystectomy still experience complications such as diarrhea and abdominal discomfort. To avoid these unpleasant experiences, the ideal diet after gallbladder removal is one in which you avoid junk foods. People who have had their gallbladder removed do need fat in their diet, but should focus on healthy fats such as avocado. They will also benefit from eating smaller meals more often. Natural Orifice (Vaginal) Gallbladder Removal?